Are you seeing double, triple and quad numbers? Like 1111, 222, 333 or any form of these? ARE YOU SEEING DOUBLE? TRIPLE? NO, YOU ARE NOT CRAZY! Now here is a topic lots of folks are noticing and talking about: repeating numbers. And seeing them over and over and over. I have been seeing these for years, but even for me, sightings have ramped up. When one considers that each number represents a particular energy (and sometimes categorized events), it is not really that difficult to understand what they might be saying. Well, I should say that to someone who works with numbers and their meanings like I do, it may not be, so here is a bit of information on these doubles and triples and even quad numbers and some of the meanings attached to them. There are more, like Doreen Virtues Angel numbers, which is another excellent reference book for these kinds of groupings. 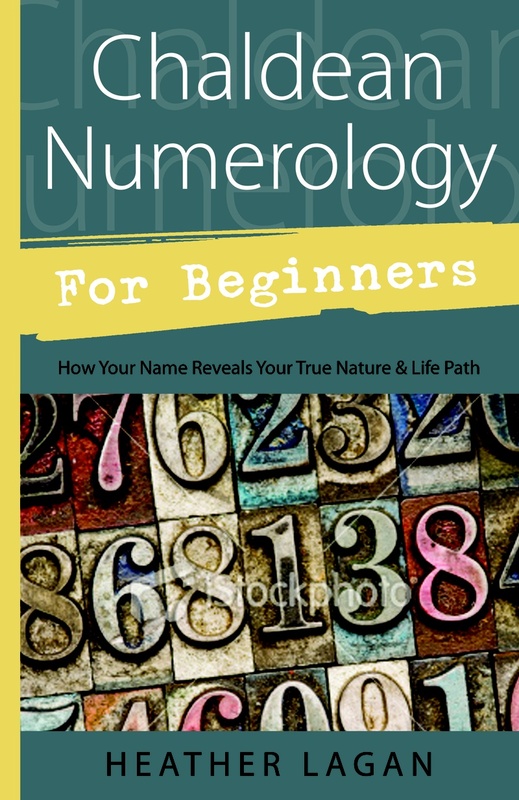 One of the first things to know is that double numbers are called MASTER NUMBERS, which come from ancient Chaldean origin and always refer to higher spiritual realms of learning and experience. Two energies that are identical and placed side by side indicate an increase in the energy the single digit represents. For example, if one of your names totals to a Master 11, the first 1 is you with the addition of another energy (the second 1). 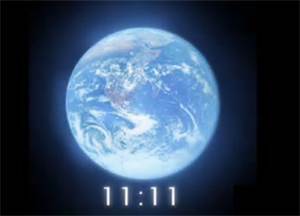 Since this is a spiritual addition, this 11 shows YOU plus another personal esoteric energy like your intuition or creative drive. So this single set of number 11 is explained. But what about all the 11:11 codes that many are seeing on alarm clocks, signs, license plates and a myriad of other places? Look at 11 energies as though another 'set' of energies has joined it. Let's say this is your first name total: in addition to you and your heightened senses, there is a matching energy, but not from this Earth plane. This is a reflection of the Universe: the energy that is unseen by us with the exception of the stars and so on. So this is the most elemental indication that there is something more to this 'reality' than we can see...and it totals to 4, which is the number of basics on Earth, like the 4 winds, seasons, directions, corners of a house, and traditionally, the 4 members of a family. Therefore, it also refers to the Foundation of Man. So this tells me there is another entity or level of existence that we have yet to 'meet'...but that we will soon. This is something many more 'sensitive' or psychic people are clicking into as their own 'sightings' rise in number. The number one is the first; it is the pioneer and the beginning of all creation. There is no-thing (not counting the 0 added many years later by the Romans, I believe) before it and it is required to create the elemental scale of 1 through 10. Therefore, the 1 is all about life, growth, knowledge, experience, progressiveness, risk taking, imagination, adventure, bravery and is a generally unemotionally developed vibration (since theoretically, the '2' has not come along yet). This is a lone energy that is 'mirrored' by the second set of numbers: this is a joining of a kind - with a new or original vibration that is connected to humankind but is unknown to us...at this time, but not for long. The changes are already being seen on Earth and it is almost inevitable that what we consider 'normal' is rapidly changing and will continue to. When we take it one step further, these sightings may well be connected to Crop Circles and other 'messages' that are coming our way (most recently as December 21, 2012 and the Mayan calendar), but what most people do not realize is that this date was just the GATE opening...we are now moving fully into the Age of Aquarius or, as the Mayans called it, the Golden Age, which like any birth, is going to have some pain associated with the transition. Another thing - whenever you see a double or triple, look at what you are doing and think about how you feel about it. Number 1 is new projects, interests, goals, ...so consider what that means to you and if it feels right...you may want to consider changing something or starting something new...is what you are doing for a living, for instance, satisfying to you? Is it something you connect with? If not, ask Universe for assistance and direction - if you are sincere, you will find opportunities and contacts will almost 'magickally' appear - heed your intuition and have faith that there is indeed more to this 'reality' than meets the eye. Does this bring up any memories for any of you? Any unusual sightings on a repetitive basis? Stories, ideas, or what these numbers mean to you? I'd love to hear about them! Little things changing for you? Odd events? Plain old weird occurences? So has anyone else been feeling overly tired these days? I know I have and many around me have..and for no good reason. It's not like we all went climbing Mt Everest or something. Hmmm. Are odd things happening to you, like small items seeming to move themselves to other places or disappear completely, only to turn up later in the exact spot you remember leaving them? Do you fall asleep easier? I mean, do you 'pass out' while still remaining aware on some level? (And no, no alcohol or drugs involved). For example, I will slip into this odd place while watching TV and while I am still aware of this 'reality', I am also aware of another one, in which I am reading a book or magazine or sewing something - and my hands are moving in THIS reality at the same time? (Hubby tells me so and I am sub consciously aware of doing it myself). It feels like I am caught between two planes of reality (or two slices of glass)...which I see as different levels of reality or time. Has anyone else noticed this time/reality slips? Are 'coincedences' building for you? Like you say 'improbable' and it is said in the exact same instant on the TV? And this happens constantly? Or you think of someone and the next instant, they are in your inbox? (And I do not mean someone you talk to every day). Looking forward to what you have to add...and thank you in advance! So today is my birthday and I wanted to comment on the number 10, which I know many of you share in terms of your Day of Birth (which is a strong component of your Lifepath but is looked at separately for that exact reason). These observations will also hold true if you have this number in any form in your individual names...the energy remains the same but will be tweaked according to the hieroglyphic symbols (letters) your specific name is composed of and their individual and combined meanings. The number 1 is obvious in its connections to new beginnings, fresh relationships, adventures or projects: this is the pioneering, sometimes ego-driven and definitely unique energy that starts all things, be they material, emotional or otherwise. It is the 'get up and GO' vibration...and it can sometimes run head on into walls it hadn't taken the time to foresee, which is why I call this essence the 'Original Force': it can sometimes come off like a bull in the proverbial china shop. The 1 is, above all, curious about everything...which makes sense as all things are new to it...this curiosity can lead to all manner of 'self'-ish behaviors (or so it may appear to others), impulsive activities and a tendency to jump from one person, place or thing to another person, place or thing with sometimes alarming regularity (which can manifest over time as a string of interests, jobs, relationships and so on). This energy sees things from a unique perspective that does not usually include others, which is not a deliberate exclusion, it is just the way the 1 is constructed...and despite the 1 acting in the way it is 'expected' to, this 'exclusion' can create a rather rocky road, especially in the life of a young adult...wisdom will come to this vibration, but it will take many experiences and years before it will do so. Which brings me to the 10. The 0 (zero) serves many different roles, perhaps the most important being its ability to intensify energies (think of 10 cents versus 10,000 dollars...big difference, right?). This is the same kind of energy behind the special message the 10 carries: it speaks to a 'second chance' at getting life right: at achieving success, at fully committing to a relationship (or to ending one)...this will only happen once the holder is mature...or, older. It has taken me 53 years to understand the pattern my early years took and I am still learning. For example, it is still difficult for me to share my deepest emotions, to speak openly (except perhaps on paper or here, on the computer) about them...and sometimes, even to define what they really are. Oddly enough (or not, really), I am a writer by trade and can spill my guts or my knowledge or both here, in writing. Which I will continue to do...I find my voice here and Universe has presented my 'new start' in the form of the publication of a book that took over 20 years to put together. Now, I am no longer 'alone' and honest connections are made with every one of you who reads my words. Communication is key...and that is one truth that will never go away. So I have my second chance...it took this long to find my truth and the way to speak it. So if you have a 1 or even a 10 anywhere in your numbers, remember that 'second chance' or choice to start again is there for you, too. If you have visited my website, you will know that in addition to my love of Chaldean numerology, I am also very much attracted to the other side of life: the unseen and the esoteric, hence the sharing there of one of my own ghostly encounters and a bit of investigation into the subject of reincarnation and hauntings on the site. That said, I would like to formally issue an invitation to everyone out there to share your own experiences with the paranormal right here as I would like to develop that angle on my website, or even just here: have you had an out of body experience? Have you seen a ghost or captured an interesting photo? Perhaps your house or apartment is haunted? 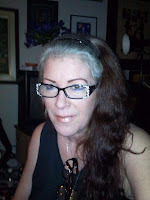 I have had other experiences with the ghostly side of life and encourage anyone who has had anything odd, unexplainable or spooky happen to them to share it here as while I am not a 'ghost hunter', I may be able, at the very least, to offer assistance or advise. At the very least, reading about others contacts with the shadow side of reality is fascinating in and of itself, so feel free to add your story as a comment...thanks in advance! Chaldean Book Receiving Great Reviews! Yay! Just wanted to say thanks for the wonderful reception my book is receiving (see Amazon U.S.A.)...no less than 2 x 5 stars! Woo hoo! Please feel free to ask anything you may require clarification on or anything even outside of the realm of ancient numerology...I love all things esoteric and 2012 will certainly be filled with some wondrous and perhaps...odd...experiences, so if I can help in any way -- my eyes are wide open and my fingers, ready to reply! ps. The numbers keep repeating...3:33, 4:44, 12:12, 11:11...how many others are out there are experiencing this same phenomenon? It is the activation: the shift, the expansion of consciousness and I am sooo glad to be alive and blessed to see this transformation...who else is feeling and seeing it? Tell me! !